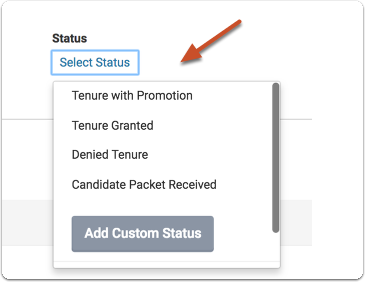 In addition to the statuses set at an institutional level, Administrators and Committee Managers can create a custom status that will apply only to the case for which it is created. 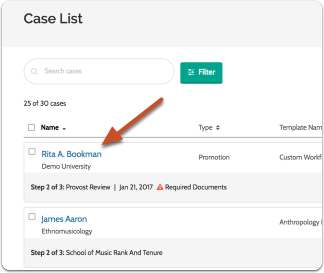 This article explains how to create a custom status from the Case page of a candidate. 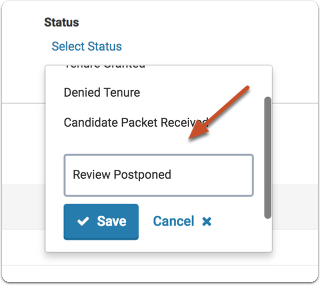 Click either "Select Status" (if no status has been set) or the "change" link next to the current status, and select "Add Custom Status"